There are many stories of recreational poker players turning pro after starting out with little or nothing. Annette Obrestad and Tom Dwan are two of the best examples. One of the more recent cases of a player building a huge bankroll out of a small deposit is Charlie Carrel. He deposited $15 into his PokerStars account and grew it into $500,000. Carrel’s rise started when he finished 1st and won $49 in a $1 buy-in 180-players sit and go event. He then began playing in 9-handed $1.50 buy-in sit and go’s before moving up to $3.50 and $7 buy-ins. Carrel would switch to playing Zoom cash games before he left PokerStars for Partypoker. Then he went on a roll turning his $1,800 bankroll into over $60,000. After switching back to PokerStars, Carrel won $200,000 in the Sunday Million. After that, he started feasting on the competition in $2/$5 Zoom games. Young Charlie also began to try his luck in live games and he started to win in that arena too. He cashed in on a couple of six-digit wins and then hauled in a whopping €1,114,000 in a €25,500 8-Handed High Roller at the 2015 EPT Grand Slam Final. 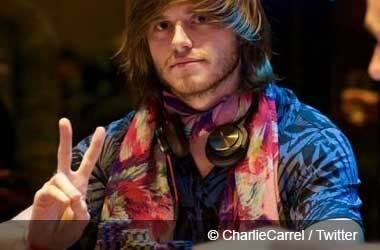 He has gone on to win $6.2 million in live events. It wasn’t too long ago that Charlie decided to take a break from poker and focus on other things. However, his retirement didn’t last long and he is back in the game. Just last week, Charlie deposited $50 into his PokerStars account and he plans on turning that into $10,000. He sticks by the 20 buy-in rule which means that he will increase his stakes once he has 20 buy-ins for the next buy-in level. If he falls to having 17 buy-ins then he will drop back down a level. He resumed his poker career playing $0.01/$0.02 Zoom games and he has now moved up $0.02/$0.05 games playing at three tables at a time. He has had early success winning over $100 but he knows that he has a long way to go before he hits his $10,000 goal. There are a lot of people that claim online poker is either dying or dead. They insist that it is no longer possible to parlay a small deposit into a big one. Charlie Carrel is out to show the skeptics otherwise. You can follow Carrel’s journey on Twitch.